Zuri brings to you 4 simple quick tricks to fix up your grays at home. Now take care of your hair in a jiffy! Oh! So one of your friends has come up with this last minute dinner plan and you are left high and dry with absolutely no time to touch up your hair color? I guess this is one issue most middle-aged women have to deal with. Also, a lot of women complain how their hair color doesn’t last any longer than a fortnight with strands of gray peeping through their crowning glory. So, Zuri brings to you some really simple tricks to cover up your gray hair, without having to go through those messy hair color sessions, that too in a jiffy. 1. Mascara: Pick up a hair mascara or for that matter even your regular mascara and just swipe it on your gray strands with the mascara wand and you are good to go. 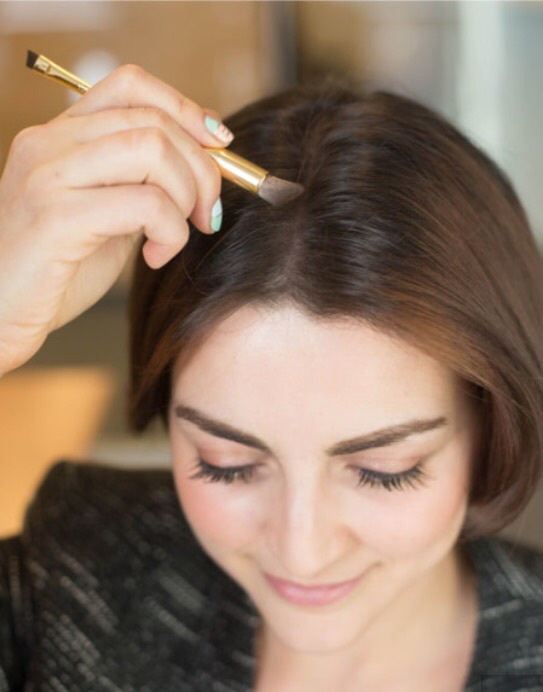 This trick is quick and can conceal your grays with utmost precision. It also makes for a fabulous cover up for all those of you who’ve just started to show up some grays and want to refrain from coloring your hair just yet. 2. Hair touch-up stick: Hair touch up stick is another product that comes in the form of a roll-up-stick and is ideal for last minute root touch ups. Just a single stroke and you’re sorted. It is easy to apply and instantly covers grays with its effect lasting until the next shampoo. 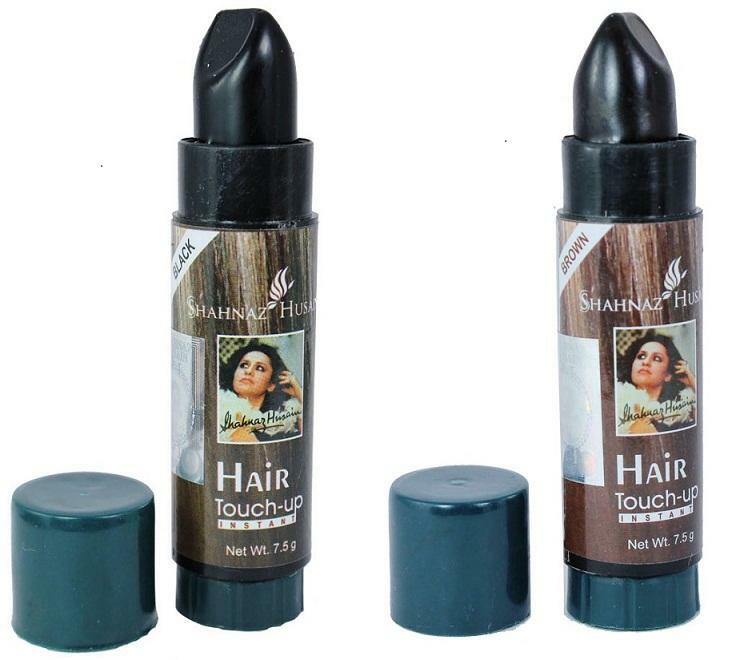 Shehnaz Hussain Hair Touch-up stick is one such product. It is herbal, chemical free and has absolutely no side effects. Available in black and brown, the color is rich and intense and yet makes your hair look so natural. 3. Eyeshadow: Eyeshadow makes for yet another effective trick to cover up gray roots instantly. So pick up an eyeshadow shade that is closest to your hair color. 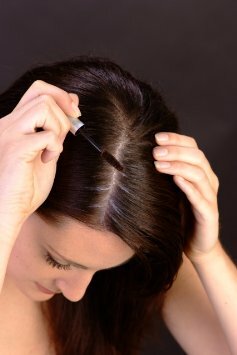 Now dab it on to your gray roots with an application brush and blend it seamlessly into your scalp. The effect lasts an entire day. The eyeshadow also works wonders to hide any thinning hair patches on your scalp, making them look fuller. So these were a few quick tricks to fix up your grays at home. Other than these, you could also try changing your regular parting to the other way round to camouflage your gray roots. Or better still, get yourself a new haircut with lots of layers. Another trick would be to use a blow dryer to add volume to your hair because flat hair somehow makes gray strands even more visible.